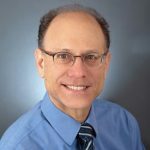 Dr. David Ludwig has a multitude of titles: MD, PhD, endocrinologist, researcher, professor, and author. His bestseller, Always Hungry? explores the effects of diet on hormones, metabolism, and body weight. He sat down with fellow author and physician Dr. David Perlmutter to discuss dietary approaches to treating chronic illness, the hopelessness of counting calories, and why full-fat yogurt shouldn’t be a guilty pleasure. Dr. Perlmutter: If this is a book about appetite — making the right dietary choices in order to regain a healthy weight — how does an endocrinologist like yourself fit in? Dr. Ludwig: Even though diet and lifestyle cause most cases of heart disease, diabetes, and even cancer, medical school is notorious for having very little nutrition. We focus almost exclusively on drugs. But humans didn’t evolve to respond to drugs. We evolved to respond to hormones, those powerful signals that tell the rest of the body how to act in a coordinated fashion. During my medical training, I realized the implications of endocrinology to nutrition without ever having been inculcated in the standard nutritional paradigm of calories in, calories out. The standard teaching is that diet is a delivery system for calories and nutrients, but it’s so much more. Every time we eat, our hormones, metabolism and the expression of our genes change in ways that have to do with whether we’re going to be hungry or satisfied after a meal. Whether we’re going to gain weight, struggle with cravings, or have a healthy body weight. Bringing endocrinology to understanding food opens up a vast new field of interest in research and also in the clinic with my patients. Dr. Perlmutter: There are a lot of books written about this or that weight loss program, but you’re actually in the trenches applying your ideas with patients daily. It’s empowering that we can manipulate our food choices, which has such a broad range of physiological effects. Dr. Ludwig: I started my career the way that many people have treated obesity weight issues, which is a focus on calorie balance. I told my patients to eat less and exercise more. They’d come back in a few months almost inevitably gaining weight. Around the mid-nineties, I started thinking about food from this endocrinological perspective. It completely altered my approach. It seems that the only thing we truly know about the standard obesity treatment is that it fails. As I’ve mentioned before, the calorie-focused model might work if you’re a toaster oven, but humans aren’t machines. When we cut back on calories, the body responds. People don’t just get hungry, their metabolism crashes, and they inevitably gain weight. Unfortunately, we’ve been using the same approach to obesity that was initially formulated when blood letting was a dominant treatment for all sorts of chronic diseases. It seems that the only thing we truly know about the standard obesity treatment is that it fails. That’s really the most notable finding. Despite a century of elaborate behavioral methods and psychological approaches to help people do something as simple as eat less and move more almost nobody can do it! Maybe for a few months, but two years down the road, many people end up even heavier than they previously were. We need a new paradigm. Always Hungry? explores the notion that overeating doesn’t make you fat; the process of getting fat makes you overeat. Dr. Perlmutter: One of my favorite points in your book is the idea that all fats are not created equal. That the type of fat we ingest matters significantly. Decreasing simple sugars and carbohydrates while increasing fat isn’t exactly a new concept. And yet, there is still criticism. Dr. Ludwig: Yes, absolutely. My research group has been investigating this for twenty years, but it’s built on a century of research that goes back way before Atkins. Body weight is regulated by our biology more than our willpower. We’ve known that for a while now. In fact, I started my career in the laboratory, making transgenic mice, doing these kinds of studies. If you feed a mouse a certain kind of food, or change its hormones in a certain way, it gets fat. We don’t say the mouse has poor willpower. This knowledge, sadly, hasn’t made the leap into clinical care. People feel like it’s their fault that they’re fat. That’s a terrible burden, especially in our society. We do not tolerate discrimination in many ways, but around obesity – just turn on the TV and you’ll hear jokes. We have to look at obesity like any other chronic disease in order to generate more effective treatments and relieve people of this huge stigma and burden that they’ve been carrying. Dr. Perlmutter: I’d go all the way back to the fossil record. Back 1.8 million years ago. It’s pretty clear that there wasn’t real accessibility to either simple carbohydrates or an abundance of complex carbohydrates. This signaling of caloric scarcity plays a huge role in why people gain and can’t get rid of unwanted weight. Let’s explore that a little bit — what locks fat up and makes it unavailable to be used as fuel? Dr. Ludwig: We can think about our metabolism as like a tide. We’re not like protozoa that continuously absorb nutrients from our environment. We eat episodically, and when we have food. This was true when we were hunter gatherers and today. When we sit down and eat a meal, we temporarily have a calorie surplus. The calories flow into the body and insulin increases to direct them into their storage sites: fat, muscle and liver. That’s how it should be because a few hours later, we won’t be eating. When insulin levels decrease, that’s the metabolic signal for calories to flow back out and become available to the brain or the rest of the body. When we eat highly processed carbohydrates — white bread, white rice, all those foods that flooded our diet during the low fat years — that makes insulin rise even higher than it would normally and this other hormone, glucagon, suppress. Glucagon is the yang to insulin’s yin or vice versa. In our paleolithic history, we had access to simple sugars very rarely: during the late summer, early fall when fruit ripened and the starch became sweet. Insulin is anabolic and promotes storage. Glucagon is catabolic and pulls out calories. If you have too much storage and too little counter-influence, you have this overwhelmingly strong signal to the body to store calories. A few hours after you finish the meal, those calories are still trapped when they should be flowing back out. The brain, which is critically dependent on a steady supply of calories, sees calories in the blood declining and begins to panic. The first thing it does is make you hungry. If you do what low-calorie diets tell you to do, ignore your hunger, calories keep going down and then we have a metabolic emergency. The brain now panics and you can’t think about anything besides food. Stress hormones are secreted that try to pull calories out of storage fat like with a wrench. You won’t die but these cycles lead to weight gain and increased chronic disease risk. We need to eat in ways that allow the flow of calories to be more gentle. Then we can more easily access the calories three, four hours after a meal. Dr. Perlmutter: We’ve all learned about insulin’s role in dealing with elevated blood sugar, but you touched upon an important concept – that insulin is also fundamental, not only for the genesis of fat but for its ability to be liberated and even as it relates to protein. Insulin has a much wider purview in terms of its role in human physiology than a lot of individuals are aware of. It’s also an adaptive mechanism. In our paleolithic history, we had access to simple sugars very rarely: during the late summer, early fall when fruit ripened and the starch became sweet. We ate these fruits that contained glucose and fructose, which would stimulate insulin. We would make fat but we got through the winter so it worked. But as you so describe, this is a mechanism that’s twenty-four seven now in people. There’s no mystery that people are having weight issues. Whether you get all this signaling stuff and the role of inflammation, your book is really actionable. Here’s what to do today. Here’s how to eat. Let’s get back to signaling in the human body and we will realize a balance of health and weight. Dr. Ludwig: The calorie balance model is so deeply entrenched in our culture and mindset. I can put two nails in the coffin of that concept. First, not even the most expert dietitian can accurately assess calorie balance to within 350 a day. You just can’t do it without elaborate machinery. If you were off by 350 calories a day, you would go from lean to massively obese in about five years. Nail number two is: if calorie balance were so important to maintaining a healthy weight, how did humans avoid massive obesity before the very concept of calorie balance was created? If we were obese as a hunter gatherer, we would be very attractive to the nearest saber-toothed tiger. The problem is, we can’t do it with our conscious minds. We have an old part of our brain called the hypothalamus. It’s evolved over hundreds of millions of years to control our weight. If we were obese as a hunter gatherer, we would be very attractive to the nearest saber-toothed tiger. Our current way of eating confuses the primal systems whose job it is to control our weight automatically. If we eat foods that have the right hormonal and metabolic effects on our genes, the body takes care of itself. Dr. Perlmutter: You talk about inflammation as one of the products of fat cells. Let’s talk about our misguided notion that fat cells are nothing more than a storage depot for calories, how inflammation affects insulin sensitivity, and why you recommend an anti-inflammatory approach. Dr. Ludwig: The primary focus of the book is on what we’re calling twin troublemakers. One is too much insulin released from the pancreas. We call insulin the ultimate fat cell fertilizer. When someone with Type I diabetes who can’t make insulin comes to attention, they’re invariably losing weight. They can be eating ten thousand calories a day. You give that person too much insulin and they gain weight. So we lower the amount of insulin we’re producing, fat cells get less stimulated and open up, the calories flood back into the body, the brain is happy and you’re less hungry. The second twin troublemaker is chronic inflammation. As the fat cells start to grow and outstrip their blood supply, they become inflamed. Some fat cells may die and that is an extremely potent inflammatory signal. Our fat cells have the most prized store of calories in the body, very attractive to microbes. Bacteria would love to eat our fat but our fat very rarely gets infected because it’s normally filled with inflammatory cells. The key is to lower insulin levels, calm chronic inflammation, and let your body do the rest. If you get too much fat and it starts to get inflamed, those white blood cells turn angry. The fat turns angry and starts to spew out a toxic mix of hormones and interleukins and other chemicals that spread inflammation around the body. When inflammation goes to the blood vessels it can lead to atherosclerosis and a heart attack. When it goes to the lungs, you could get asthma. When it goes to the liver, it worsens metabolic problems. When it goes to the brain, the hormone leptin becomes less able to do its job, so we feel less satiated with the same amount of food. The key is to lower insulin levels, calm chronic inflammation, and let your body do the rest. Dr. Perlmutter: In Type II diabetes treatment, there seems to be a push away from oral medications, back to insulin injection. How do you feel about that? Dr. Ludwig: In cases of uncontrolled hyperglycemia, you do need to use insulin. For Type I, insulin is required because that’s a profound deficiency of a critical hormone. Type II is a different situation. A critical part is caused by insulin resistance and many people have already high levels of insulin so putting on more may be necessary if blood sugar is dangerously high. But it’s really adding fuel to the fire. One very good way of producing insulin resistance is increasing insulin levels. Insulin is a symptomatic treatment. Ultimately, the solution for Type II diabetes is weight loss and measures that improve insulin resistance and chronic inflammation. Dr. Perlmutter: What we’re seeing is people who make very little dietary or lifestyle change and feel as if they are treating their diabetes by taking this shot. They’re treating the smoke and ignoring the fire. Dr. Ludwig: If you have Type II diabetes, we’re not saying just stop your insulin, but it is not the best long term strategy. Some people with Type II always need some insulin. Even so, you can make that insulin work more effectively by doing other things. We have this excitement about bariatric surgery, a fifty thousand dollar procedure that reverses diabetes. What if we spent fifty thousand dollars on an intensive lifestyle treatment? With the right approaches to diet, we could reverse Type II diabetes without a knife. Dr. Perlmutter: And the complications and the risk. It’s compelling to recognize that insulin has effects on other hormones in the body. We’re seeing such a prevalence these days of, for example, PCOS (Polycystic Ovary Syndrome) in women. The relationship with insulin resistance and antagonism of the production of female versus male hormones really extends the net you throw in terms of making these dietary changes, even for women who are anovulatory because of something like PCOS. Dr. Ludwig: That’s the exciting thing about endocrinology, that every hormone effects virtually every other hormone in the body. It’s a truly holistic system. Why do we have hormones? Not to fail, so that endocrinologists like me can have a job. Those hormones are there to integrate nutrition with our biological needs. We have to be able to be optimally fit. We have to go from maximally utilizing calories when they’re available: to grow if you’re a child, to reproduce if you’re an adult. How do we adapt to high protein and fat if we find a surfeit of blueberries in a hunt? How do we manage our metabolism when we’re sick and can’t eat? Once we understand that all that is done by hormones, radical new possibilities open for effectively treating chronic disease. Dr. Perlmutter: With sugar’s pivotal role, what is the argument against artificial sweeteners? Dr. Ludwig: If you were drinking a tremendous amount of sugary beverages, switching to diet beverages will be better for your weight. Artificial sweeteners without calories provide some benefits compared to massive amounts of sugar. But how do those diet beverages compare to a more natural beverages like water or tea? Artificial sweeteners are substances that were created in the laboratory. In one case, there was a British scientist who was trying to create a new pesticide. He said to his Indian trainee, who didn’t understand English that well, “Go test it.” The trainee heard, “Go taste it.” He did and was knocked off his feet because that chemical was overwhelmingly sweet. They switched course, got interested in artificial sweeteners, and this is one of the products that we have today. These compounds stimulate the sweetness receptor hundreds to thousands of times more potently than sugar. The question is, what does that do to our bodies’ metabolism? Sweet receptors aren’t just in the mouth. They’re throughout the gastrointestinal tract and in fat cells. When those sweet taste receptors on fat cells get stimulated by concentrations of artificial sweeteners that can be attained in the blood stream, it programs that to calorie storage. Artificial sweeteners aren’t just a localized phenomenon happening in the mouth. We’re treating our whole body with that potentially negative effect. Dr. Perlmutter: Any comments on the role of artificial sweeteners in terms of changing the microbiome and how that might affect metabolism? Dr. Ludwig: It’s entirely possible but we need more research. The microbes in our gut outnumber the cells in our body by at least ten to one. We know that those microbes interact with not just the digestive tract but the whole body in remarkable ways. We can modify the microbes in our gut in one day by changing our diets. Dr. Perlmutter: You touch upon probiotics in your book as well. What are your thoughts? Dr. Ludwig: Cultures throughout history have relied on fermented foods. Fermentation was the original preservative. Milk spoils very quickly. Ferment it, turn it into cheese that can last indefinitely. Vegetables will rot in a few weeks. Ferment it in the fall, you can eat sauerkraut all through the winter. Beyond this benefit of preserving food, natural fermentation provides us with a continuous source of very healthful microbes. There are good probiotics on the market, but these naturally fermented foods have bacteria we’ll probably never be able to totally understand. We don’t get these in our diet today. Our diet’s highly sterilized. This may be one reason why yogurt seems to have a blow-out effect in big observational studies. When they look at how people’s weight and health change over the years, we see that refined carbohydrates cause the most weight gain. High fat foods like nuts and olive oil actually look great. Topping the list is yogurt, maybe because this is one of the few opportunities for us to get really pure, natural, live bacteria in our diet. Dr. Perlmutter: I think the caveat there is that there are yogurt products on the market that may not have much going on in terms of actual live cultures. Dr. Ludwig: People are eating foods that call themselves yogurt, but are sugar delivery systems with a little bit of yogurt added. Dr. Perlmutter: You feel good about it yet you’re still catering to your sweet tooth. Dr. Ludwig: The problem is this obsessive focus on cutting back on fat. Kids can’t get whole milk in school but can get sugar-sweetened nonfat chocolate milk. What an irony. If you take out the fat, it’s not going to be tasty and so of course you’re going to dump in sugar or you’re going to eat other carbohydrates. Eat the full fat yogurt, crush a few nuts, and put some berries on top. That is tasty, satisfying, and vastly more healthful than any of the nonfat stuff.